Pictured above is the Crag Camp Shelter. it nonetheless gets my nod as the best overall official AT shelter. 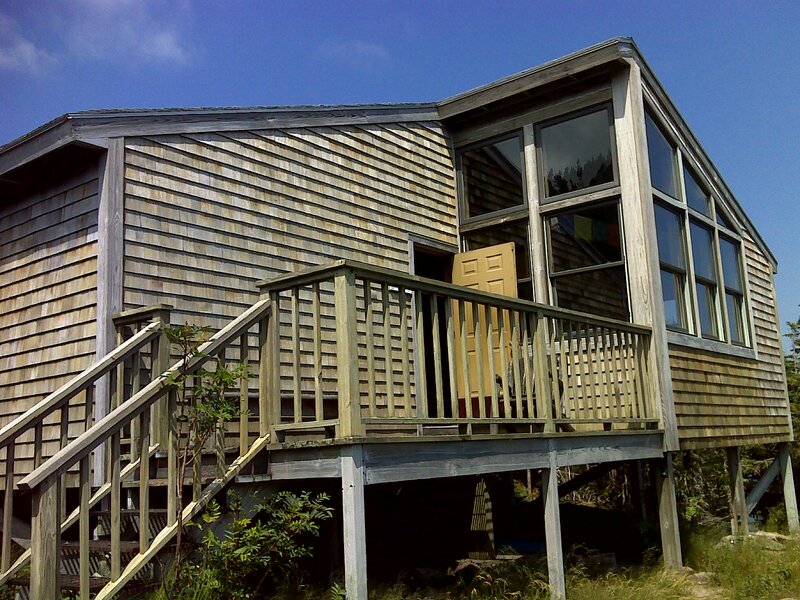 overlooks the upper reaches of Kings Ravine with Mt. Madison looming behind. Believe it or not the Kings Ravine trail climbs straight up that headwall! General Impression/Theme: The heart of the White Mountains - the Presidentials. People: Like the previous segment, this one was saturated with people, so I rarely had in depth conversations with anyone. Talked with the Crag Camp Shelter caretaker for half an hour. Ran into Beth 'Patches' for the third time on July 25 on Nineteen Mile Brook Trail (not even on the AT). She had finished her thru-hike on July 13th and was just hiking around her adopted home grounds for fun - an amazing chance meeting. The only other identifiable long distance hiker I met and talked at length with was 'Talks-a-lot' (who does). She was on her way to Katahdin, doing a big chunk of the trail this year to finish the whole thing. Supply/Overnight: The AMC Highland Center (3 nights), Trailhead parking lots, the Gorham/Berlin Wal-Mart. Best Day Hike: This section is in a class by itself. Who doesn't want to climb Mt. 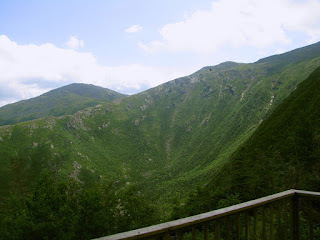 Washington from Pinkham Notch visitor center? The Tuckerman Ravine route is the most popular. If that's not your bag, then ask the friendly and patient volunteers behind the information desk there at the visitor center for a recommendation that suits your tastes. There are more great hikes here than you can shake a stick at. For me the hands-down pick for best day hike is the 'guts' of the classic Presidential Traverse: the arc of trail, virtually all above timber line, from Mt. Washington to Mt. Madison. Shell out your $25 and drive up the Mt. Washington Auto Road, park and head north on the AT from there, going as far as you care to. 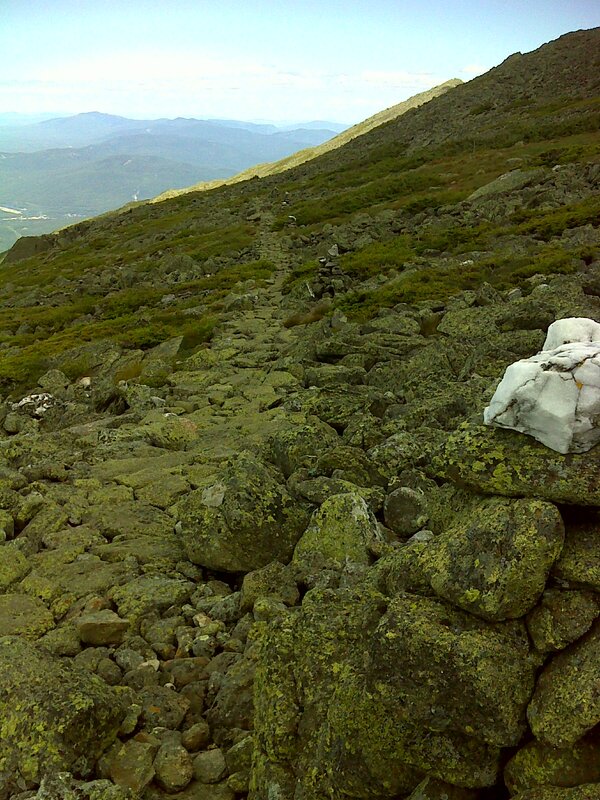 Make the return trip via some of the summits that the AT bypasses (Clay, Jefferson, and Adams). 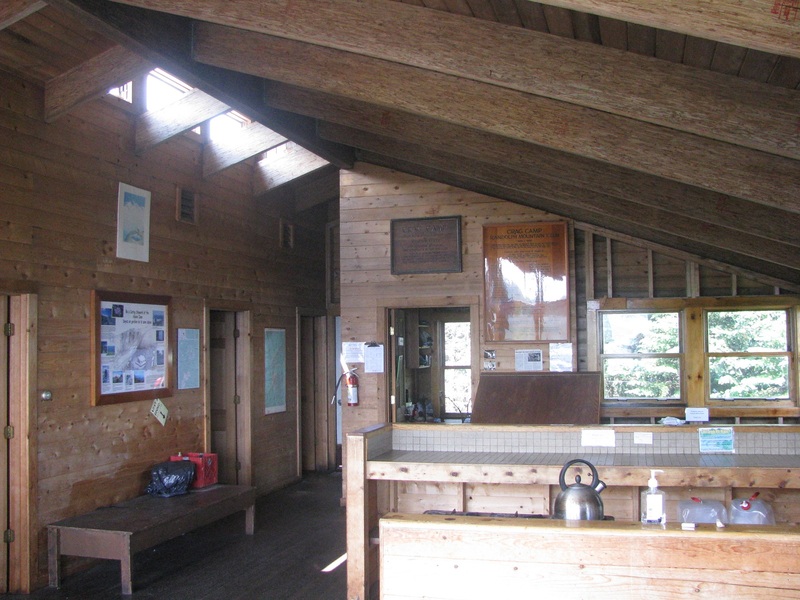 The Madison Springs Hut, newly rebuilt and expanded in 2011, is a perfect rest stop along the way. This is not particularly difficult hiking, but be sure you are prepared for sudden extreme weather changes: do not attempt this hike unless you have experience, adequate clothing, and some understanding of high alpine mountain weather. I'm glad you took the time to visit Crag Camp. It's so beautiful. It's sister, Gray Knob, is also wonderful but doesn't have the view that Crag does.